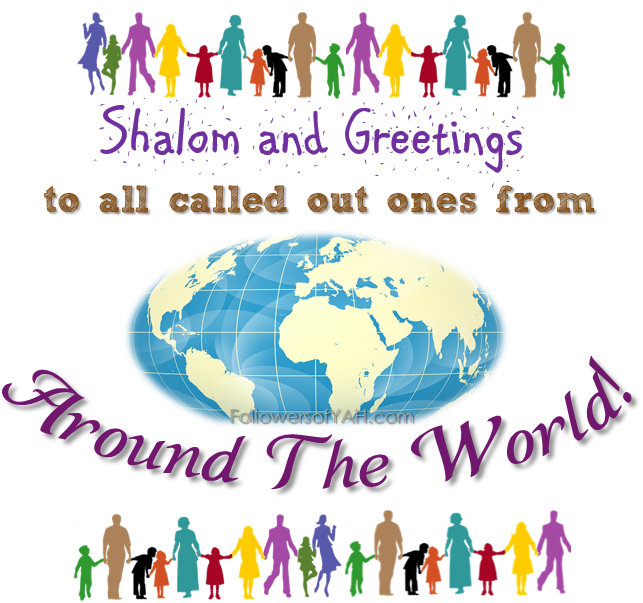 Shalom and Greetings to all the Called-Out Ones scattered abroad! We pray everyone had a blessed Pesach Passover/Unleavened Bread celebration! May this current newsletter find everyone being blessed, ever-growing in wisdom, knowledge and understanding. Now more than ever, we need those three important keys, so that we can rightly discern. 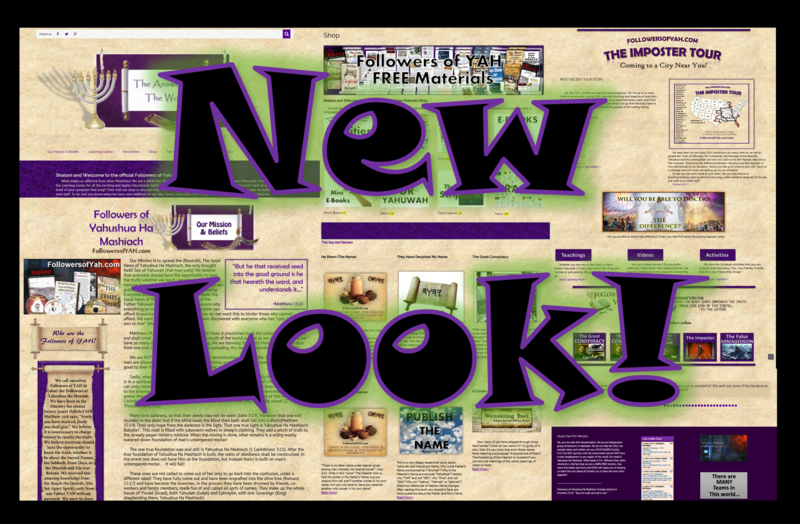 This Newsletter will not be as in-depth as the previous ones. We have been on the road the last seven months taking the National Imposter Tour. Thus we have been moving from state to state, covering as many places as we can during these last few months. We are excited to share, that we currently have a lot of projects going on. We hope to bring some of them to completion by the next time the Newsletter goes out. All in Yahuwah’s timing of course. We always give Yahuwah esteem in making these newsletters available to the Body of Mashiach!! In this newsletter, we will share some ideals on what Called Out Ones should be doing during these last days to reach the lost sheep. We will also examine current global events. This includes the escalation of the Noahide Laws being recognized as the moral laws in which all nations (excluding the state of Israel) will be forced to abide by. 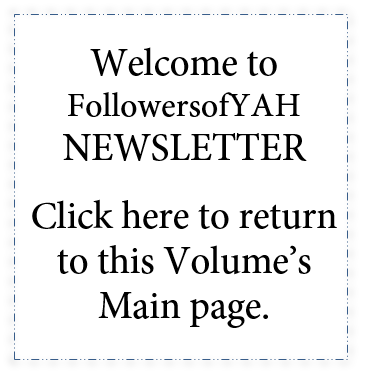 However, before the Noahide Laws can be enforced, the entire world will have to accept a new age form of monotheism. Without a doubt, the year 2016 was the year this new age concept was jump-started, in a religious global uniting of all faiths! The Pope played a major role, being the wedding planner in all, sending out the invitations while trying to convince the world we all worship the same deity! The world is being put in the proper position in accepting the coming Imposter! 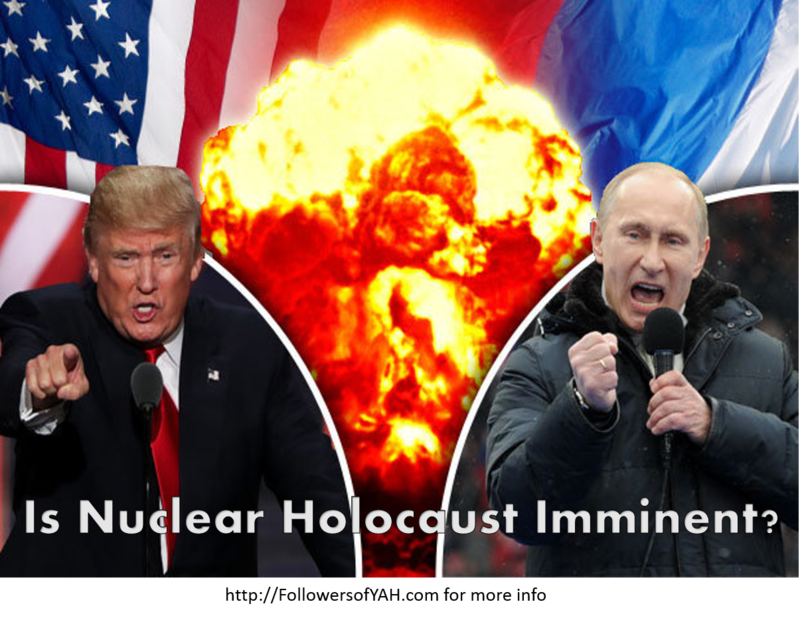 The present state of the world, recently witnessed a major shove towards prophesy being fulfilled. The Elite have been expecting the herd to react just as planned. Their hard work of years’ worth of the dumbing down of society, fearmongering, brainwashing along with desensitizing the masses, has finally paid off. 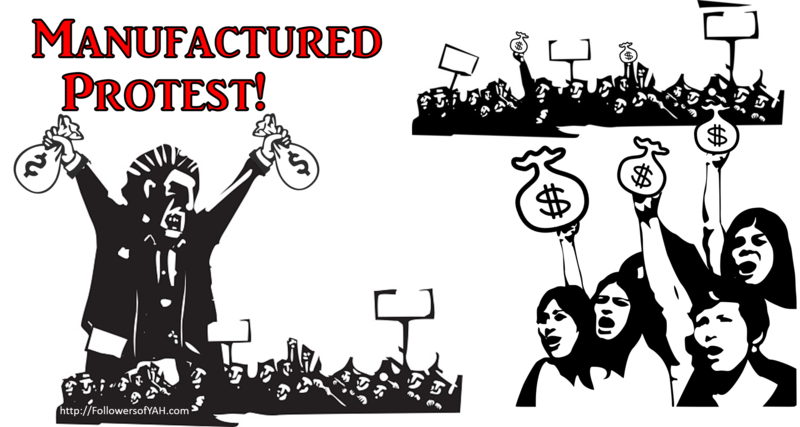 We are witnessing first hand manifestations of this on a global scale! Within the last six months, there has been a major shift towards one total chaotic world. Standing outside the box, looking in I see these events for what it is, organized chaos! How about you? You see once the blind-fold has been removed, each of us should view these current events with new insight! Therefore, not being transformed to the matters of this current earth age, we can stand outside of the entrapment watching in amazement of how quickly the world is being duped! Check yourself beloved ones! If you find yourself being mesmerized and ensnared into this emotional turmoil, then I beseech you to get out N-O-W!!! Do not get emotionally entangled into the worldly affairs. Matters are only going to get worse, diving deeper and deeper into a dark state of despair. Once a person gets drawn into this orchestrated chaos, they eventually end up in an emotional bottomless pit full of negative feelings such as hate, bitterness, wrath, anger and confusion; just to name a few. Sadly, from sea to sea and everything in between, people have become cruel, brutal and down-right vicious. The love of many has waxed cold (Matthew 24:12)! What is the reason? How could our kind, the human kind, resort to such barbaric ways? The answer is quite simple, as we had been forewarned this would be the outcome of a law-less (Torah-less) people! Yet those who claim to follow Torah including those who preach the golden rule, are no doubt some of the worst influences out there! I’m appalled at the things I have seen within the faith! None of us are perfect, that is a fact. However, and more importantly, Yahushua told us, “A renewed command I give to you, that you love one another, as I have loved you, that you also love one another.” “By this shall all know that you are My taught ones, if you have love for one another.” (John 13:34-35). If we can’t even get it right, how can we expect those outside of the faith too? Remember, we are outside of the box of organized religion. Thus, we have a greater accountability (1 Peter 4:17). In this newsletter, we also wanted to cover and share with everyone our recent Imposter tour stops! This wave of our National Imposter tour, was amazing! This trip started in Oklahoma, then we took a stop in Texas to fellowship with other believers during Sukkot. Next, we went to Indiana, Ohio and Kentucky with a nice stop at The Ark Encounter. From there we ventured down south. Some of the southern states we ministered to were Florida, Alabama, Mississippi and Louisiana. We had a wonderful time meeting, talking, fellowshipping and ministering to others. We are witnessing the dire effects of a population that is being feed toxic spiritual truths! I won’t go into the devastating effects on how the moment someone eats a toxic food their metabolism can be damaged thus causing physical distress on the body. However, I will ask each of you to ponder on the grievous outcome to those who are not hearing the truth. Instead they are being fed toxic teachings, found within the majority of churches today. The demonic lies will indeed be so toxic that it will cause them eternal death! That will be their current state if you, do not start proclaiming and using your ministry to further the coming Kingdom. This is the real, “walking dead!” That is how serious this is Brothers and Sisters! This is where those of us here at the FOY ministry come in. 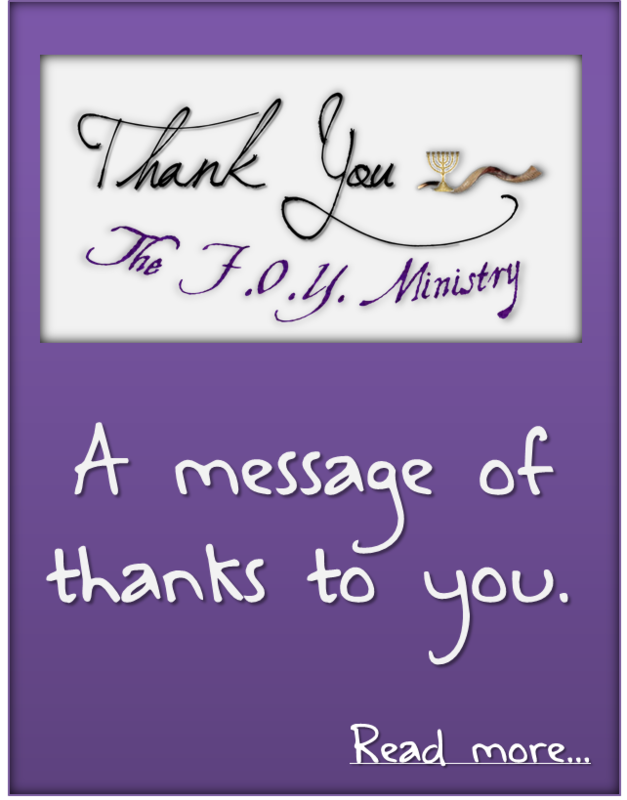 The FOY ministry has been reaching out to those who would not normally hear these truths found within the FOY publications. This is the reason for the National Imposter Tour. 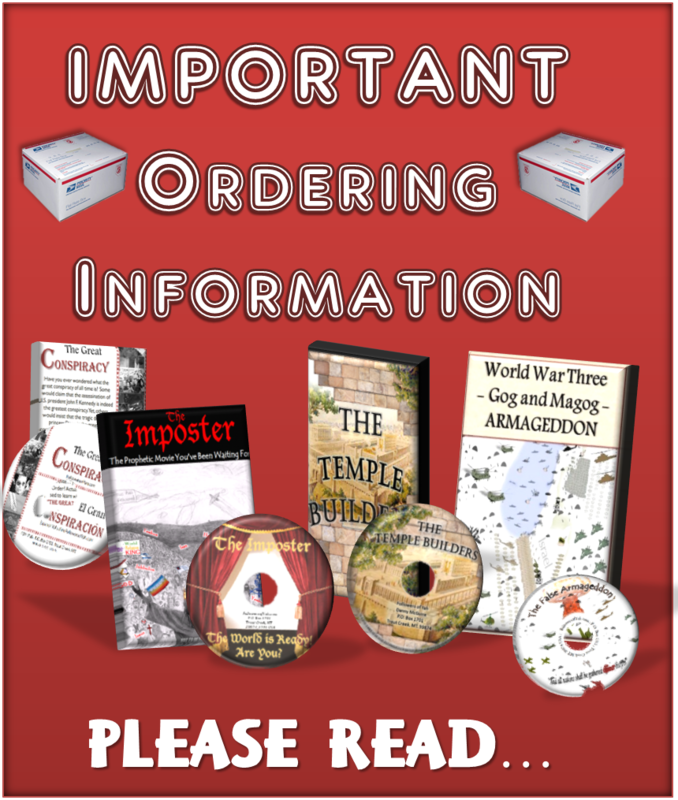 Sure, we can do all this through the website, our tracts, our books and even our DVD’s. However, most of these people are searching while having access to the internet. What about those who don’t have access to the internet? Well, we got that covered! 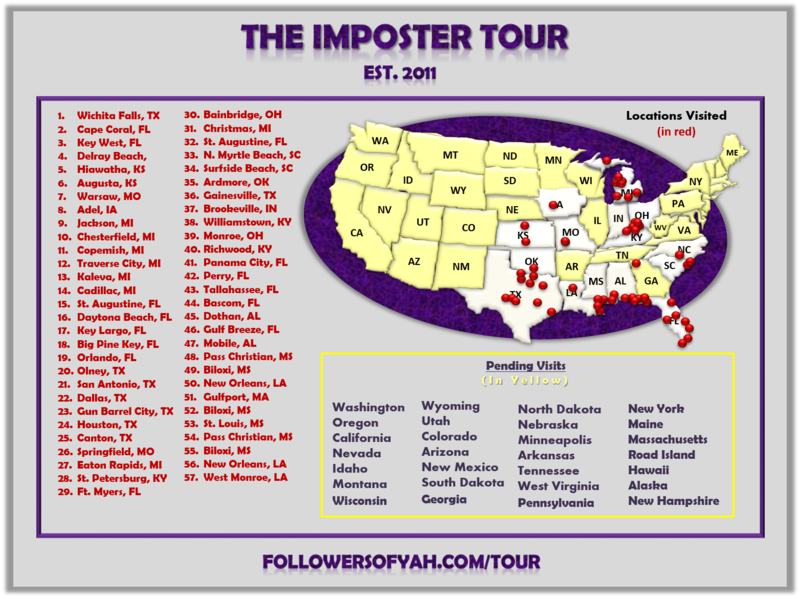 The National Imposter Tour is indeed reaching those who do not have access to the internet and/or who knows something is missing in their lives but they just cannot figure out what that “it” is. We are seeing this firsthand. I speak a truth, we are living in fascinating times! The people we have met while taking the National Imposter Tour are hungry. I’ve seen their face expression change, as they hold our DVD’s. Once dim faces, suddenly are filled with hope. We praise Yahuwah for this work that He is allowing us to do! Rejoice with us Brothers and Sisters! Clearly, we have been very busy! Yet traveling is not all fun and games! Sure, traveling can be nice seeing all the beauty that Yahuwah created. However, traveling can also be extremely stressful, especially when traveling over half a year! We truly are in a battle. 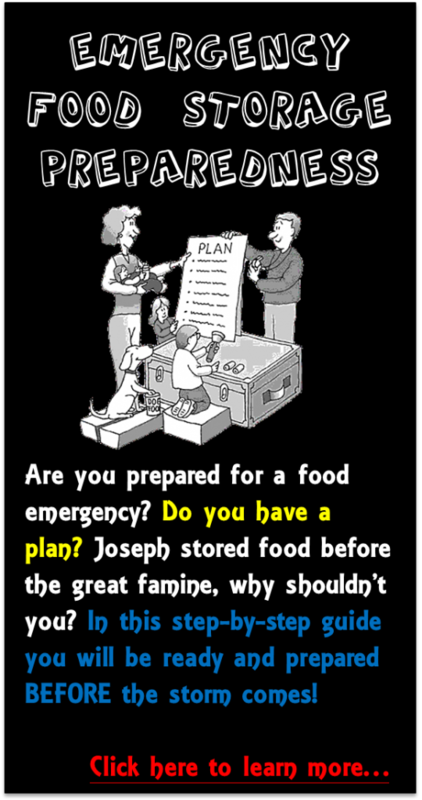 And there really is an enemy that has a plan to steal, kill and destroy (John 10:10). Have you personally noticed that when you want to witness to someone, share some literature with an unbeliever or simply try to make a song, poem, video or even write something up all sorts of strange things will occur? Those are simple burning arrows, darts, stumbling blocks trying to hinder you! Have you felt like just quitting? Throwing in the towel? Have you felt that it is not worth it? If you have answered yes to any of those question, guess what? You’re not the only one! We here at the FOY ministry have had numerous hindrances. Some have been quite shocking! Especially, when it comes to printers, printer parts, shipping issues and other electronic equipment. Other darts thrown at us have ended with miraculous outcomes. For instance, many of you might remember just a few short years ago, Sister Felicia was hit by a truck that was going 70 miles per hour. She did need to be revived more than once. However, the Great Yahuwah had other plans for her! The FOY ministry has forever been grateful and thankful for everyone who prayed for her during that time. How wonderful it was for believers from all over the world, that came together praying, fasting, and lifting this maiden of Yahuwah up! The FOY ministry has personally encountered a wave of obstacles recently ourselves that we are putting together in a video. Please subscribe for an update when published! HalleluYah! Praise Yahuwah we are still here! Rejoice with us Brothers and Sisters! Despite all the darts thrown our way, during the last six months, we shared the Besorah with quite a few people. We also blew the Shofar on Yahushua’s prophetic end time events! What a wonderful blessing to freely express the truth openly. As the days are coming when it will be outlawed! Which brings up the subject that interesting days are ahead for humanity! Without a shadow of doubt, we are getting ever closer to the Great Tribulation (Jacob’s Trouble) followed by the unveiling of the Son of Perdition to the blessed hope of the return of Yahushua, Ha Mashiach! We hope you are encouraged as you review all the FOY recent tour stops! While on the road, at times we do not get good internet service or even access to the internet at all. For this reason, we were not able to write up many articles this time around. 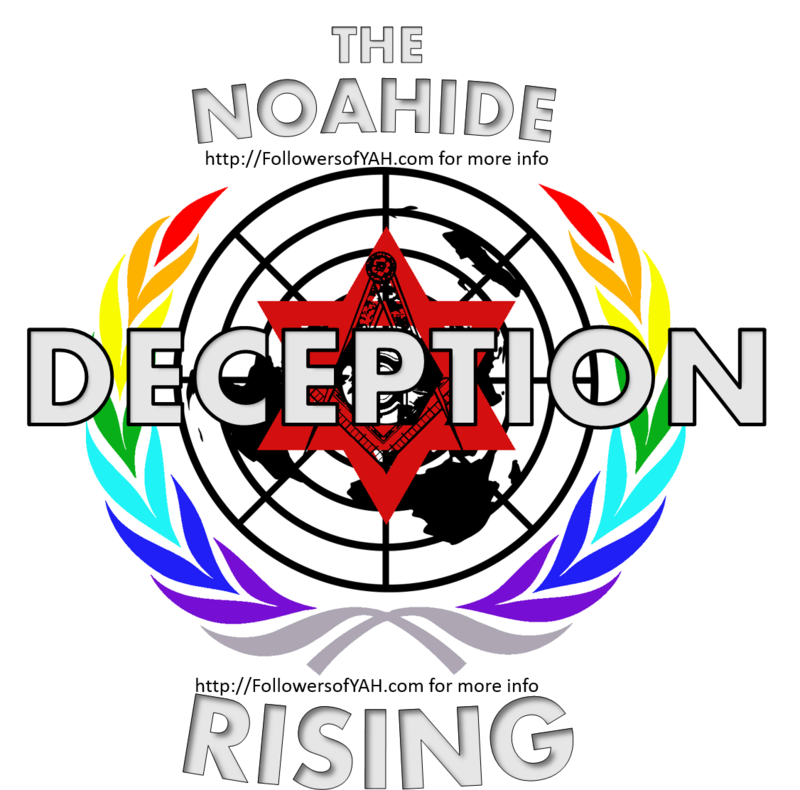 However, we do have some important news regarding the Noahide Laws (Noahide Codes) as there has been some recent activity in trying to bring all nations, people and religions under these Lamb-like laws. 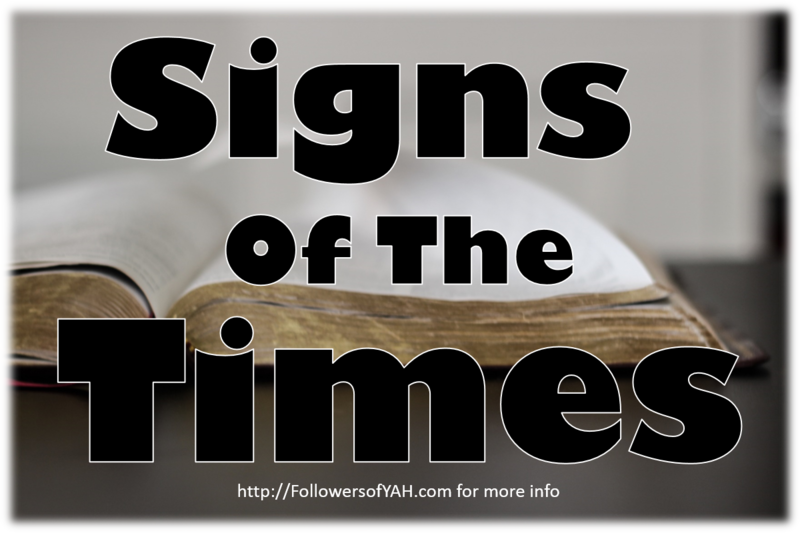 We also ask that you take the time out to review the current, “Signs of the Times.” We are living in treacherous times indeed! Oh and by the way, did you get Trumped? We, the F.O.Y. ministry are taking a nationwide tour. We will go to as many cities as we are able, having FREE Imposter showings and stopping at local fairs, flea markets, etc. We will also be giving away some free books, tracts, DVD’s and music CD’s. It’s time to invite all to hear the truth. Our desire is to go from the East Coast to the West Coast proclaiming and warning the people of the coming Strong Delusion! If you have ever wanted to get involved in doing any type of ministry work now is your opportunity to help us. We are in need of people to help organize FREE showings in their city. These believers will help find a building for us to rent, a newspaper to promote the event and help pass out fliers announcing the event in their neighborhood. If you are interested please email us and let us know. Remember the F.O.Y. ministry is not just limited to the few workers here but this is Yahuwah’s ministry. If we the Body of Messiah work together lifting Yahushua up, think of what we can do? How many people we can reach? Since we will be doing this on faith we can only do as much as Yahuwah will allow. This entry was posted on May 7, 2017 by Followers of YAH.